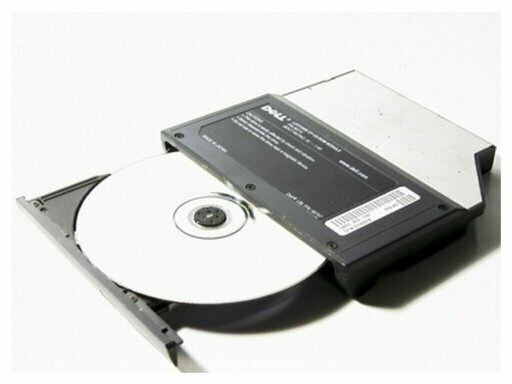 It's a drive optical drive that reads through a laser diode optical discs called CDs or CD, be it CD or computer CD-ROM. When it is used to listen to music CDs, the CD player can be integrated into various types of portable devices or servants, to a radio handset, etc. It can also be a separate, portable device or domestic, to connect to a channel Hi-Fi, an audio amplifier or headphones. Computer, the CD player is either in the form of an internal device in the central unit, or an external device connected to the computer by a USB or FireWire port. DVD player (or DVD player) is an optical disc drive used to exploit the digital data stored on DVDs. The arrival of the DVD Video (Digital Versatile Disc) revolutionized so this little world, which appeared in 17 aux États-Unis en 18 in Europe particularly in France. Most DVD players can read several formats of optical discs. The disc rotation is provided by a servomotor with variable speed. Indeed, the portion of piste1 either in the centre or on the outskirts, the length of the sectors is always the same, therefore, unlike vinyl, scrolling the data before the read head must be constant. For comparison, a reader at speed 16 times (CD-Rom 16 x drive) will see its drive speed vary between 7 328 tr·min-1 and 3 152 tr·min-1. The movement of the optical block is provided either by an arm swivel (mechanical Philips) by a linear actuator of very great precision because, on a possible total travel of three centimetres4, it is capable of 600 positions different per millimetre. A lens of a CD player. The laser diode emits in the infrared and serves as well for writing and reading; However, the power of the beam is different in the case of a drive or a burner (a few milliwatts in reading against 24 mW for an engraver to quadruple speed), in addition, it varies depending on the speed of burning. The laser diode emits a beam to a Prism (which can be characterised as a semi-transparent mirror); This Prism returns the beam at right angles to direct him to the lenses. The beam reflected from the disk (polycarbonate) crosses the Prism to excite the photodiode. The optical focus is on a mobile device, whose movements are controlled by electromagnets. This system allows the adjustment of the position (sliding setting) of the (mounted on a moving coil) focus compared to the disc lens. This set is the goal. The lens, before the goal, is used to focus the laser beam, so that a beam of about a micrometer in diameter, in order to be able to read the microcuvettes (pits in English) of different lengths of the disque6. The diameter of the beam is not significantly larger than the wavelength of the incident Ray, the focusing of the beam must therefore be extremely accurate. Making these lenses requires greater rigour but, unlike the lenses of microscopes for a single wavelength given, that of the laser beam. It detects changes in the reflected light. For a reader, this diode is used to read information from the disk by detecting the variations of light received, characterized by the fronts generated by the estate of the microcuvettes with intermediate smooth beaches (lands) of the disc. The signal high frequency picked up by this cell is called eye diagram. Its decoding is used in several systems, including the tracking of the position of the beam of the laser disk and the speed of rotation of the disc assessment, to correct it permanently (servo circuits work). For a burner, it serves more control of the engraving. For a CD disk, the captured bitrate is standardized to 4,3218 MHz. Computer, DVD players are a computer input devices. They may be internal, which is integrated in the housing, or external, installed in their own case and connected to the computer through USB or FireWire connector, and powered electricity sector. DVD players can be used in the salon to reproduce video content. They are then connected to a TV through HDMI or SCART, S-Video, RCA, and audio amplification by outputs analog audio system or by an optical type S/PDIF for digital sound cable. The DVD video frames are also able to read the CD audio type, or even VCD / SVCD and, for the most recent, CDs and data DVDs containing media files in various formats (especially MP3 music, JPEG for photos (, and DivX for video).